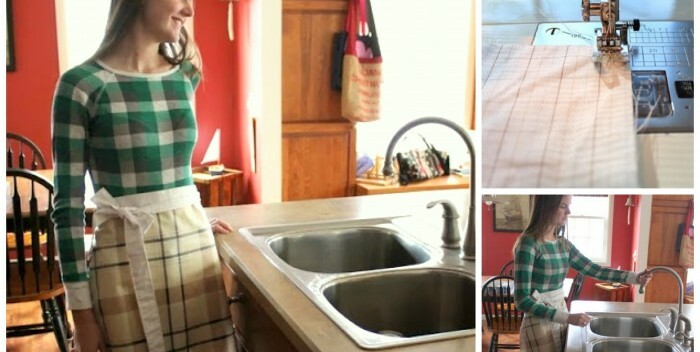 DIY PVC Apron – Keeps You Dry When Dishwashing! 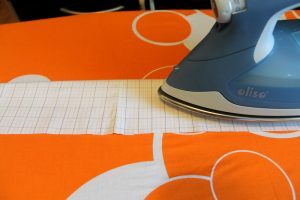 I was invited by Terry’s Fabrics to create a tutorial using some of their fantastic fabric! 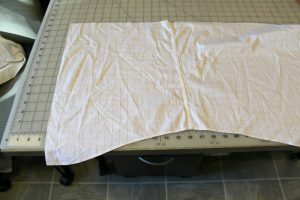 I settled on some PVC fabric – a coated cotton fabric. 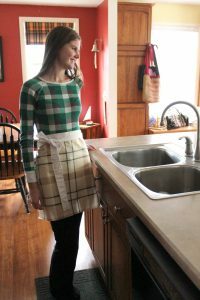 With the holidays approaching, we will be spending a lot of time at the kitchen sink washing dishes. I hate hand-washing dishes, but it’s a necessity when you use the big, roasting pots, the fine china, or your special wine glasses. I usually end up with a big water spot on my shirt because I lean into the “splash zone”! 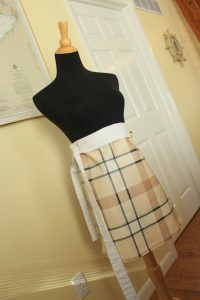 So I thought a simple apron would be practical and pretty! 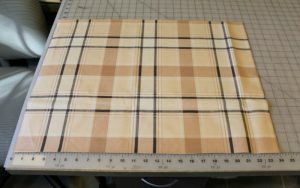 This is a quick project as I didn’t even finish the edges of the PVC. 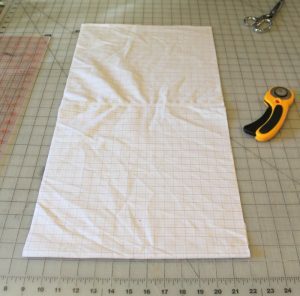 It uses only a 1/2 yard of fabric and you don’t even need a special walking foot or teflon foot! 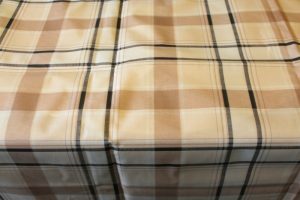 I thought this beige and black plaid fabric would be fun to work with. The fabric has a nice, heavy hand. It would make a wonderful tablecloth. 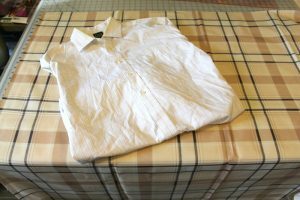 Because I love to upcycle, I created a project that combines the PVC fabric and an old button-down shirt that I had sitting in my upcycle bin. 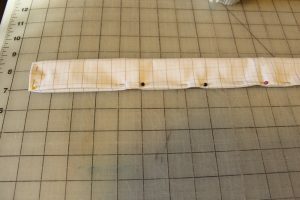 I created a super-long waist tie so that it would fit many waist sizes and so that I could tie it in front. 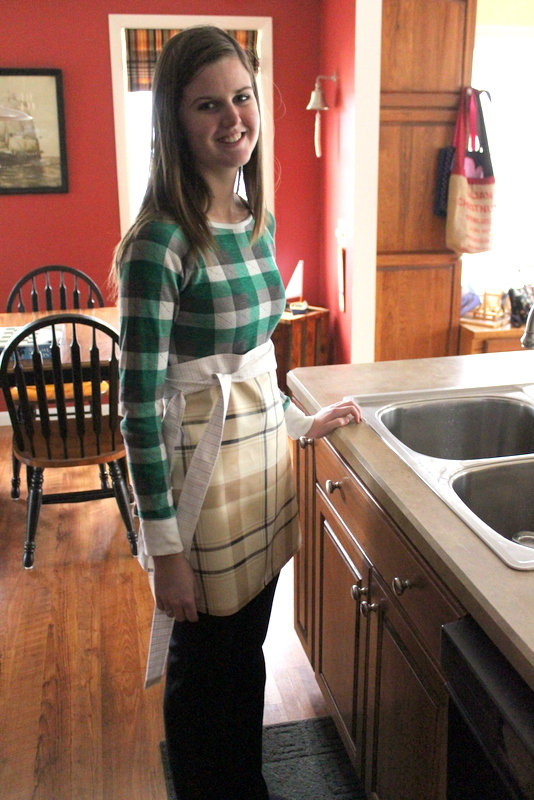 First, cut the apron. 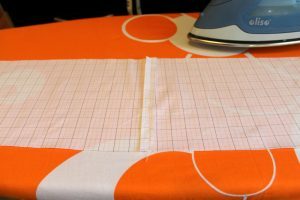 I cut mine to 24″ x 18″. Next, create the strap. 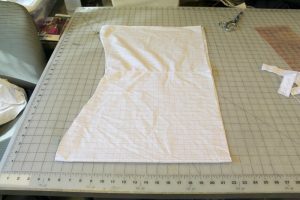 Begin by finding the widest usable section of your shirt. I cut just below the pocket. Next, I removed the button bands on each side of the shirt. 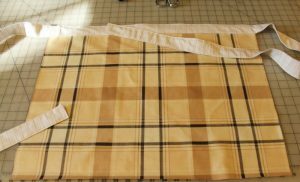 Turn the fabric on its side and fold in half. 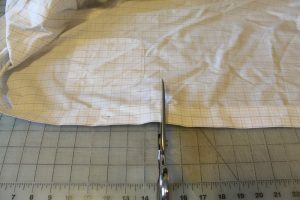 Now cut the other side so that you now have the fabric, with the fold on the bottom, with straight sides. 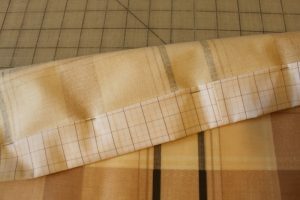 My fabric is about 13″ wide. 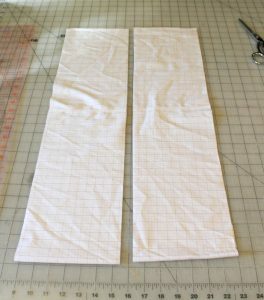 Cut the fabric in half along the length to create two strips. 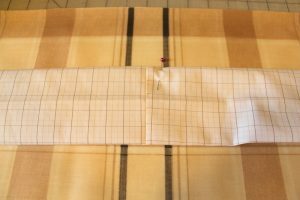 Place the strips, right sides together and sew them along the shorter end to create one long strip. 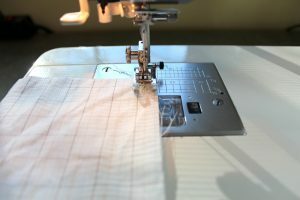 Fold in the short ends and press. 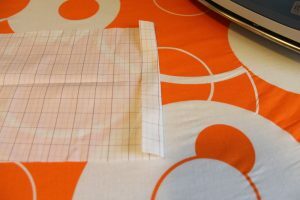 Fold the fabric in half and press. 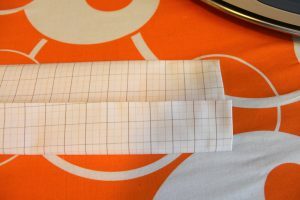 Fold and press long ends toward the middle fold line. Finally, fold the strap in half and press. Mark the center point of the strap with a pin. 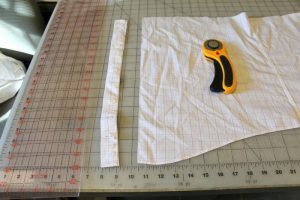 Fold the waistband over the top of your fabric, matching the center points. Pin. 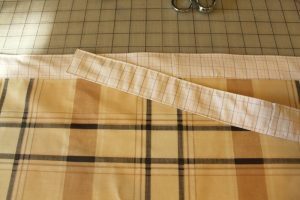 Be sure that your pinning is capturing the bottom side of the waistband. Continue pinning the waistband straps. 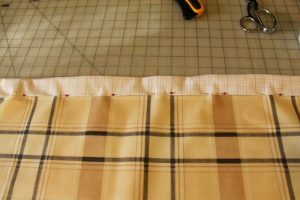 Stitch the entire waistband strap along the edges, which will attach and finish the ties. Wash those dishes, keep your shirt dry, and enjoy the holidays! I couldn’t find any of the pictures for the tutorial on their site. Maybe they’ve had a restructuring of the site since you first did this? Thank you. I placed the DIY on my own blog if you would like to come back and take a look!